In my search for the ancient rath that gives its name to Rathkeale, I was mistaken in my identification of Mount Southwell, Rathkeale, and confused it with a townhouse in the centre of the town. 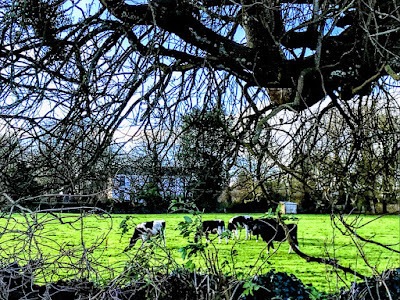 But today, as I went for a walk in the crisp winter sunshine, I caught a glimpse of Mount Southwell through the trees just a short stroll in Enniscoush, south of Rathkeale. Local tradition says Mount Southwell stands on the site of the fort of Rathguala or Rath Caola. 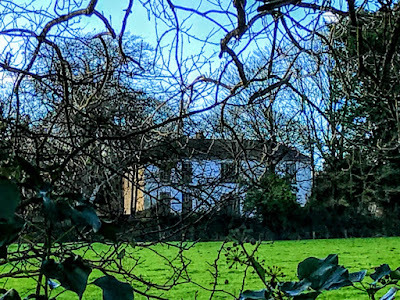 But the house I was looking for is at the end of a long drive beside Holy Trinity Church, and in the springtime and in summer months the house cannot be seen because of surrounding trees. The name Rathkeale is a suggested anglisisation of Rathguala (Rath Caola), which is mentioned in The Book of Rights in the year 902. The name translates as ‘The fort of Caola,’ and it is said that Caola was a local king. Local tradition suggests that the location of the fort was at the back of the shrine and to the side of Mount Southwell. During the Plantation of Munster, the lands of Rathkeale and Kilfinny were granted in 1582 to Edward Billingsley, who decided to centre his estate on the village of Kilfinny, which he renamed Knockbillingsley. 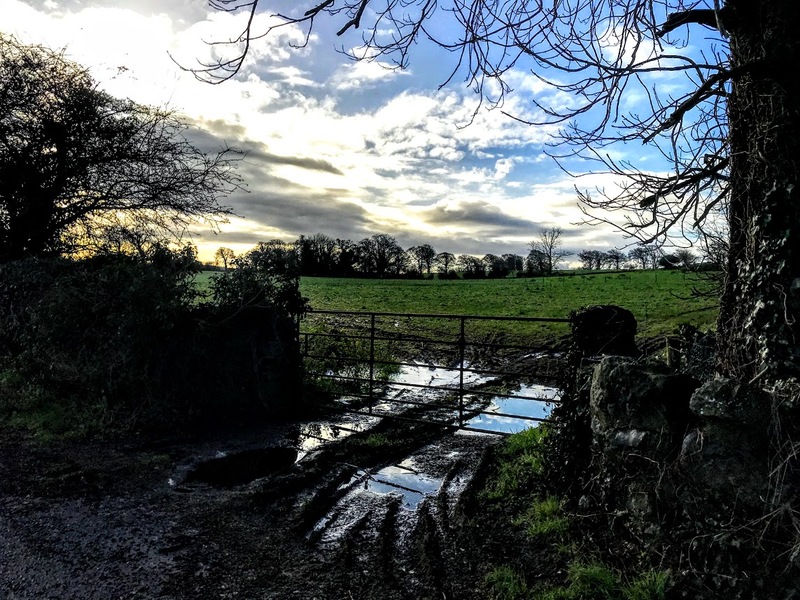 The estate was sold on to the Dowdall family, and in 1611 King James I granted Sir John Dowdall seignory of Knockbillingsley, an estate of over 4,000 acres in Co Limerick. This estate eventually passed through marriage to the Southwell family, who had their principal residence in the area at Castle Matrix. In the 1630s, during the reign of Charles I, the lands of Rathkeale, Knockbillingsley and Kilfenny were brought together to form the Manor of Knockbillingsley or Mount Southwell, when John Southwell of Rathkeale married Anne Dowdall, eldest daughter and co-heir of Sir Thomas Dowdall and his wife Elizabeth, daughter of Sir Thomas Southwell. Archdeacon John Brown was the Rector of Rathkeale and Chancellor of Limerick from 1740 to 1746. He lived at Danesfort and Mount Brown, Co Limerick and he married Meliora Southwell, a granddaughter of the 1st Viscount Southwell. The Brown family is descended from John Brown, an officer in the Dragoons who fled to Ireland and settled in the Dungannon area. His son, Colonel William Brown, moved to Co Clare in the early 18th century, and was the father of the Ven John Brown, Archdeacon and Chancellor of Limerick. Archdeacon Brown’s son, John Brown of Danesfort and Mount Brown, Co Limerick, married the Hon Mellora Southwell, daughter of the 1st Viscount Southwell, and so came to live at Mount Southwell. Members of his family become agents for the Southwell estate and they built a number of significant houses in the area. These include Mount Southwell, which was the property of the Brown family while they were agents of the Southwell family. It remains an important house Rathkeale, both architecturally and historically. Although I did not get close enough to see the house in detail, architectural descriptions say Mount Southwell is a detached, five-bay, two-storey house, built ca 1800, with a central breakfront. I understand the house has an elliptical-headed door opening with a doorcase and fanlight, approached by a flight of steps, and a Wyatt-style window above the central doorway. The rest of the main windows in the house are square-headed openings with timber sliding sash windows. The house is approached through rendered square-profile piers with rendered pyramid caps, flanking a recent gate, between the shrine and Holy Trinity Church. 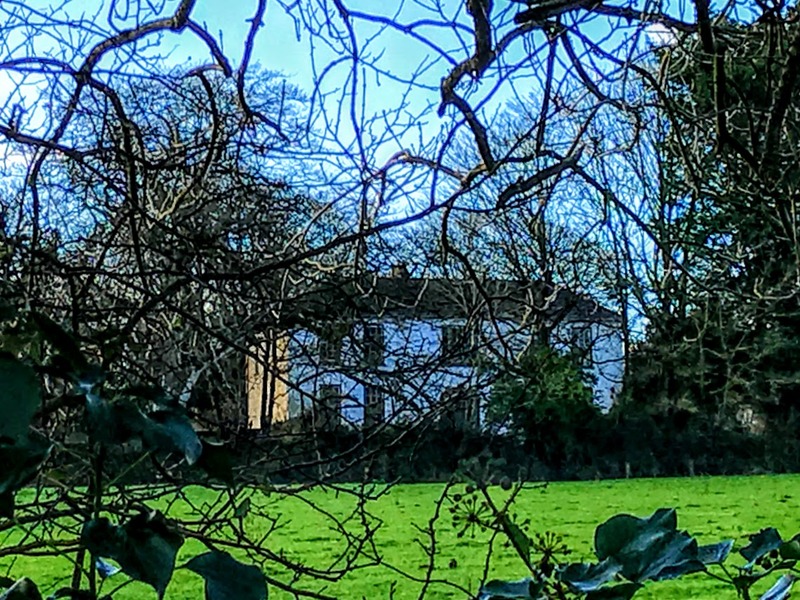 Francis Brown was living in this house in 1837 when Samuel Lewis visited Rathkeale, and it was still his property in the early 1850s, although it was leased to Edward John Collins. It was valued at £24. At the time of Griffith’s Valuation, Archdeacon Brown’s grandson, John Southwell Brown, held a vast estate in the parishes of Croagh, Rathkeale, Killeenagarriff, Kilmurry and Stradbally, Co Limerick. In March 1853, Castle Matrix and the lands at Rathkeale and Croagh were advertised for sale. They were held by John Southwell Brown from Viscount Southwell, on a lease for 99 years dated 20 September 1849. Mount Southwell later passed by marriage to the Hill family of Graig, and more recently it was the home of the Enright family.